A look at the world of emerging markets Private Equity. 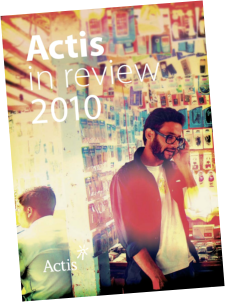 Traditionally a very sombre sector, Actis took the approach of celebrating the day-to-day benefits their investment makes to the normal people in their target regions. Brief included photo specification, design and a typographical refresh of the brand. 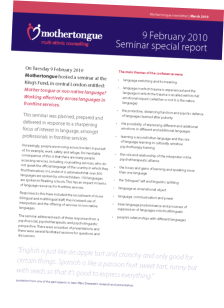 Following their successful London seminar (for which Tomodomo created display stands), the Reading based multi-ethnic counselling charity wanted to capitalise on all the hard work and promote the seminar's findings. A simple and clear report was created as a result. Each year the Bracknell Sub Aqua Club (BSAC434) issues a new club t-shirt to its members. This year we focussed on seals, a common sight on their UK dives, as a design element. 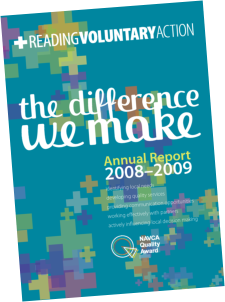 The Reading Voluntary Action Annual Report is a vibrant and colourful summary of their work in the voluntary sector of Reading. The bi-annual Corporate Governance Report looks at the state of boards in the top companies of Europe. Reading Voluntary Action needed to re-brand their organisation and at the same time update their print and digital channels. Tomodomo developed a new integrated branding and website to match. This historical rental property in France needed a website to suit its rustic charm. A simple website that highlights the key features of the property. 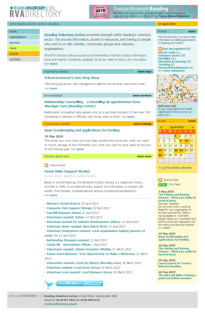 The Reading Voluntary Action's Directory website is "All the Reading voluntary sector in one place". Tomodomo not only designed and built the site, but also built the CRM and organisation tools that drive the site. Tomodomo Network develops digital designs that focus on usablity with style. Our branding and identity process includes style guides and typographical training. Our web based environments are simple yet powerful offering flexibility interactivity and usefulness. Information design analysis will investigate your data and new ways to present it. We also do print design!